Have you ever wondered about your genetic ancestry? I've seen tests advertised but never really gave it much thought until Living DNA got in touch. After reading a bit of info on how it all works I was definitely intrigued to give the test a go and find out my ancestry journey. Living DNA presents your ancestry through 10 generations with an in-depth breakdown of countries and regions. Along with details of your motherline (if you are female) or fatherline (if you are male). Taking the test is simple - you just need to order a kit online for £99 plus postage. Once your test kit arrives you need to activate the kit online and then do a mouth swab. All the instructions on how to take the swab is in the leaflet included so it's important to give that a read beforehand. Once you have taken your swab you just need to pop it in the post in the free returns bag and wait 8-10 weeks for your results. When your results are ready you get an email to let you know and all you have to do is log into your online portal to view them. This part of the test is looking at all your ancestors both in recent times (approx 10 generations) and allowing you to look at your ancestry at different points in history. When viewing my family ancestry you can see that I found out I'm 96.8% from Europe, 1.7% from Asia and 1.5% from the near east. I was able to look more into it by finding out regionally and sub regionally. 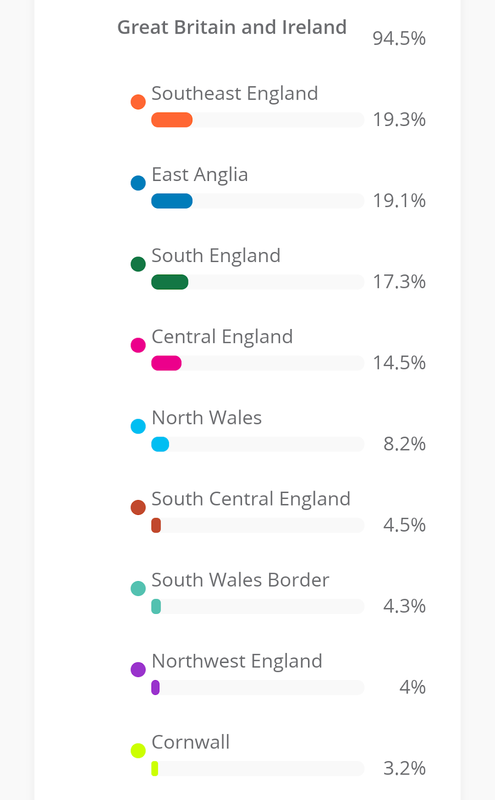 You can see some of my results pictured below for sub regionally where I must admit I wasn't too surprised when it came up that south east England is the highest % at 19.3%. What did surprise me was the % for France (1.3%), Scandinavia (1%), central asia (1.7%), Chuvashia (1.5%), near east (1.5%) and Kurdish (1.5%). It was also great to see other regions of the UK and the % for them. This is where if you are female you can explore your maternal ancestry from your mother all the way back to Africa. The fatherline is the same thing but for males. The results from my haplogroup which is a collection of family lines you are connected to through your mtDNA. Revealed that where my haplogroup is commonly found today on the coverage map. 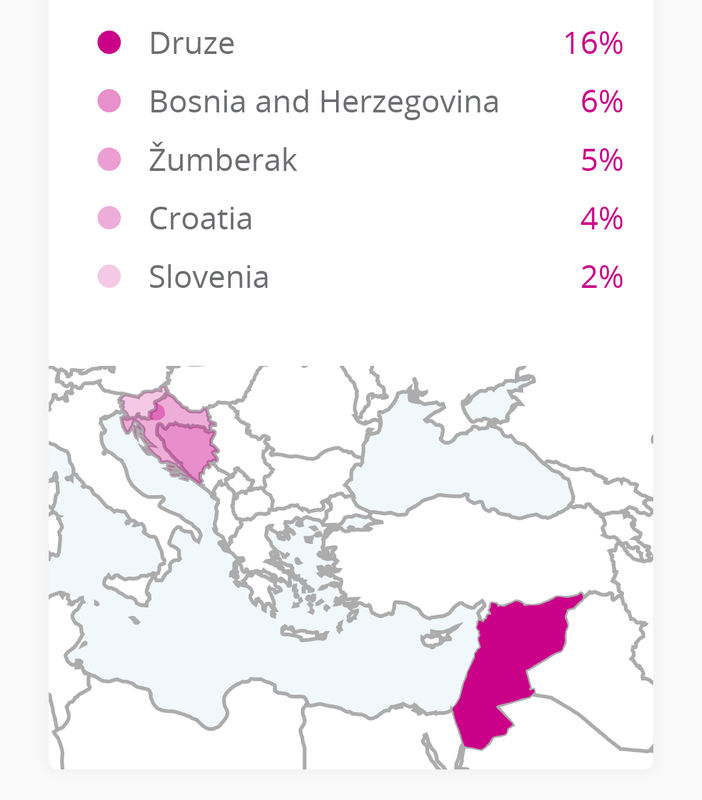 I found this very interesting and you can see my results below which revealed that Druze is highest at 16%. Living DNA shows how my most ancient ancestors migration started near Africa and there is a handy map to show me. 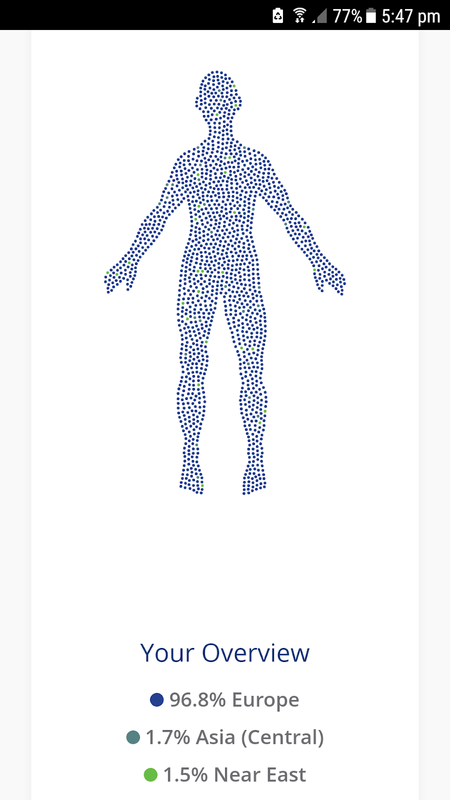 I found the whole thing interesting as it really shows how interconnected we all are. 1. They give you your DNA mix across 80 world regions, including 21 in Britain and Ireland. You can explore details of areas of the world your ancestors come from. 2. A 3 in one test that covers your family line and unlike other tests your motherline and fatherline if male. 3. They put your ancestry into context by showing your break down going back 10 generations and ancestors at different points of history. 4. As science and their systems evolve, your results will be updated to provide on going details about your ancestry. Have you ever done an ancestry test? If not is it something you would consider getting done? Please let me know in the comments below. * I was sent the living DNA test kit in exchange for an honest review. All thoughts and opinions are my own.